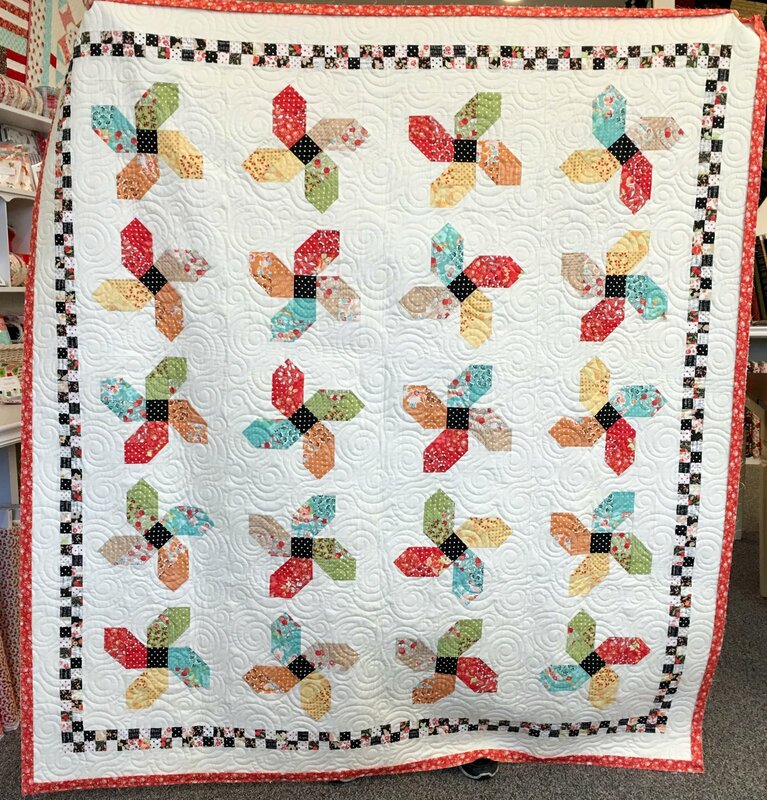 Refreshingly whimsical is what I'd call this fun variation on the traditional pinwheel quilt. It has such fun motion and I fell in love with the checkerboard border. Isn't it so fun!! The fabrics are from the Fig Tree & Co line "Chestnut Street". The kit includes all Moda fabrics needed to complete the top and binding.